About Us: IPIC Entertainment strives to be our guest’s favorite destination for a night out on the town. Our newest facilities blend three distinct areas – a polished-casual restaurant, a farm-to-glass full-service bar, and our world-class luxury theater auditoriums – into a one-of-a-kind experience. Our unique concept offers a multi-faceted experience of dining, drinking and watching a movie in a luxurious setting. It’s a great way to enjoy a night out, under one roof with friends, family and colleagues.<br><br>Server<br>Accountable for taking orders and delivering food/beverages while providing prompt and friendly service. <br><br>Responsibilities:<br>Deliver a consistently high level of guest service to all guests in Theater.<br>Adhere to all company guidelines and standards for serving alcoholic beverages.<br>Demonstrate mastery of the food and beverage menu; respond to questions about menu items and drink options.Interact with guests comfortably in low lighting while communicating effectively in a soft tone as to not disrupt guests.<br>Display comfortable, genuine sales approach; provide insight to popular menu items and make suggestions for additional plates and drink pairings.<br>Exhibit the ability to engage with multiple guests, prioritizing interactions and providing outstanding service.<br>Provide Management with key signs of guest intoxication while ensuring minors are not served alcoholic beverages.Keep the assigned stations cleaned and stocked at all times.<br>Secure payment for all checks and process checks through the POS in a timely manner.<br>Build a relationship that makes guests want to return to Theater.<br>If asked by Management, act as a peer mentor for new staff members.<br><br>Experience & Qualifications:<br>Previous Server experience is preferred or a minimum of 1-year experience in food service/hospitality.<br>Possess basic math skills and previous point of sale system experience is recommended.<br>Ability to work collaboratively in a fast-paced work environment.<br>Ability to create memorable guest connection with our food and beverages.<br>Gain mastery of the in-theater menu and be enthusiastic about offerings.<br>Ability to communicate clearly and professionally with fellow team members and management to provide exceptional guest service.<br>Ability to work a variable schedule, including weekends, and shifts from morning through late night.<br>Position will require frequent standing, bending/kneeling, lifting and carrying up to 50 lbs.<br><br>IPIC Team Member Incentives:<br>Flexible scheduling – full and part time shifts.<br>Medical, Dental and Vision Coverage; 401(k) Plan for those who qualify.<br>Career growth potential.Free Movie Tickets and Discounted meals.<br>Discounts through Life Mart and Tickets At Work.<br><br>IPIC Entertainment is an Equal Opportunity and E-Verify Employer and provides reasonable accommodations consistent with its legal obligations. 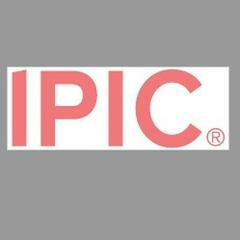 IPIC Entertainment is posting their hospitality jobs on Harri. See what we’re all about.